As I have pointed out on many occasions previously, whilst correlation certainly isn’t quite the same thing as cause and effect, it quite often strongly hints at a causal link, and as such, warrants further investigation. It is therefore inaccurate to say that correlation doesn’t imply causation. It quite often does. The tobacco industry has historically relied on exactly the same dismissal of correlational evidence to reject any discussion of an established link between tobacco and lung cancer. The standard process of research and investigation doesn’t entail, at any point, a flat political denial that there is any relationship of significance to concern ourselves with, nor does it involve a systematic and deliberate withholding of relevant data, attempts at censoring democratic dialogue, and a point blank refusal to investigate further. Furthermore, the government claims that there is “no evidence of a causal link ” is unverified. There is no evidence to support government claims that there isn’t such a link, either. I’ve observed more than once that when it comes to government claims, the same methodological rigour that they advocate for others isn’t applied. Indeed, many policies have clearly been directed by ideology and traditional Tory prejudices, rather than being founded on valid research and empirical evidence. The fact that no cumulative impact assessment has been carried out with regard to the welfare “reforms” indicates a government that is not interested in accountability, and examining the potential negative outcomes of policy-making. Policies are supposed to be about meeting public needs and not about inflicting Conservative dogma and old prejudices in the form of financial punishment on previously protected social groups. How on earth can taking lifeline income from people who are already poor ever cure poverty or unemployment? Where is the causal link between work and improved health outcomes? One confounder there is the effect of the ideologically-driven Tory welfare cuts that massively reduce the quality of life for those who need to claim social security. It’s not “worklessness” but rather, it is Tory “reforms” and a refusal to accept that sometimes people cannot work that lead to poor health outcomes, and all too often, the somewhat traditional Conservative habit of refusing to listen to the public they are meant to serve democratically results in premature deaths. And what about the discredited theories that stereotype the poor – as a diversionary and scapegoating convenience – like the “cycle of deprivation,” “cycle of dependency” made-up words and pre-loaded concepts such as “worklessness” and “workshy” presented as a fictitious medical condition or personality disorder, or the deliberately divisive “culture of entitlement”? There is NO empirical evidence that these categories exist as the Conservatives claim. Sir Keith Joseph researched the “cycle of deprivation” theory extensively some years back and found NO evidence to support it, despite his dogmatic assertion of its existence. Again there are confounders. How do you separate the effects of policies and ideologically-driven political decision-making, subsequently discriminatory socio-economic conditions and of course, pure bad luck from people’s politically constructed “innate” traits or maliciously ascribed character “flaws”? People exist in structural contexts, no amount of political pretending that they don’t will ever hide the fact that every single Conservative budget has taken money from the poorest citizens and our publicly funded services and gifted it to the wealthiest. It’s inconceivable that ministers don’t recognise that such policies create economic enclosure, perpetuate crass inequality and extend poverty. Where is the causal link between welfare sanctions and people getting jobs? Or between the Work Capability Assessment and disabled people being “supported” or better off? Or between workfare and people finding appropriate, secure, quality jobs with fair wages that actually alleviates poverty? Where is the causal link between austerity measures and economic growth? 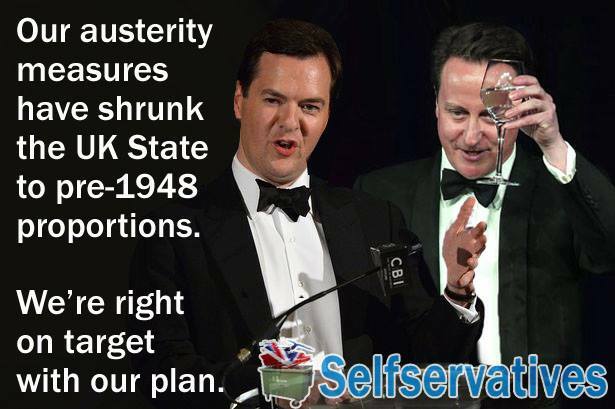 Or between austerity and a reduced national debt for that matter? Or between tax cuts for the wealthy and “trickle-down” prosperity for everyone else? Where is the causal link between privatisation and better, more “efficient” services? Not to be found in examples such as Atos, Maximus, G4S, A4E, Circle, Serco, City Link, and many more, that’s for sure. Private companies by and large make hefty profits by inflating prices, radically cutting jobs and the quality of services delivered (“efficiency”), whilst generating scandal after scandal. As a vast social and economic experiment, privatisation has massively failed the British public, and has grotequely rewarded a handful of unscrupulous, greedy, wealthy people – grotesquely rewarded, grotesquely undertaxed – whilst ordinary people in the UK face spiralling living costs and the obscene, cruel limitations of austerity to prop up the fraternity of vulture neoliberals and perpetrators of a toxic rhetoric that attempts to justify decreasing public inclusion in a shrivelling economy. From a government that has been rebuked many times for manufacturing and misusing statistics, making claims that are fictions, inventing testimonies regarding the fake impacts of their draconian policies, sneaking through controversial and undemocratic policies via statutory instruments because they KNOW that those policies won’t stand up to scrutiny, it’s remarkable that any member of the Conservative party have the cheek to claim “no causal link has been established” when confronted with empirical evidence and strong correlational links from meticulous academic research. The inherent contradictions of Conservative discourse and the construction of ideological mythologies that are translated into stigmatising mechanisms and anti-humanist policies are seen at their most stark in Conservative anti-welfarism, and themes of social Darwinism. Neoliberal mythologies are manifested in a narrative of meritocracy and in extended in notions of “deserving and “undeserving”, whilst rapidly expanding social inequalities and increasing poverty, and increasingly limited access to justice and remedy, reflect a broader political refusal to engage in democratic dialogue with the electorate and a dogmatic determination to pursue anti-progressive, neoliberal programmes, which empirical evidence informs us, are socially harmful and destructive. Government policies are expressed political intentions regarding how our society is organised and governed. They have calculated social and economic aims and consequences. In democratic societies, citizens’ accounts of the impacts of policies ought to matter. However, in the UK, the way that policies are justified is being increasingly detached from their aims and consequences, partly because democratic processes and basic human rights are being disassembled or side-stepped, and partly because the government employs the widespread use of linguistic strategies and techniques of persuasion to intentionally divert us from their aims and the consequences of their ideologically (rather than rationally) driven policies. Furthermore, policies have become increasingly detached from public interests and needs. The government have denied there is a causal link between their welfare policies, austerity measures and an increase in mental distress, premature death and suicide. However, ministers cannot deny there is a clear and well-established correlation, which warrants further research. But the government are hiding behind a distinction often made by researchers, to avoid accountability and to deny any association at all between policy and policy impacts. That’s just plain wrong. Correlation isn’t quite the same as causality. When researchers talk about correlation, what they are saying is that they have found a relationship between two (or more) variables. “Correlation does not mean causation” is a quip that researchers and quite often, the government, chucks at us to explain that events or statistics that happen to coincide with each other are not necessarily causally related. However, the possibility of causation isn’t refuted by political denial or somehow invalidated by the establishment of a correlation. Quite the contrary. Indeed an established association implies there may also be a causal link. To prove causation, further research into the association between variables must be pursued. So, care should be taken not to make an assumption that correlation never implies causation, because it quite often does indicate a causal link. Correlations between two things may be caused by a third factor that affects both of them. This sneaky, hidden third factor is called a confounding variable, or sometimes, simply a confounder. However, a lot of social research tends to indicate and discuss a correlation between variables, not a direct cause and effect relationship. Researchers are inclined to talk cautiously about associations. It’s worth bearing in mind that establishing correlation is crucial for research and shows that something needs to be examined and investigated further. That’s precisely how we found out that smoking causes cancer, for example – through repeated findings showing an association (those good solid, old fashioned science standards of replicability and verification). It is only by systematically eliminating other potential associations – variables – that we can establish causalities. The objective of most research or scientific analysis is to identify the extent to which one variable relates to another variable and the direction of the association. If there is a correlation then this guides further research into investigating whether one action causes the other. Statistics measure occurrences in time and can be used to calculate probabilities. Probability is important in research because measurements, observations and findings are often influenced by variation. In addition, probability theory provides the theoretical groundwork for statistical inference. Statistics are fundamental to good government; to the delivery of public services and to decision-making at all levels of society. Statistics provide parliament and the public with a window on the work, performance and intentions of a government. Such data allows for the design of policies and programmes that aim to bring about a desired and stated outcome, and permits better targeting of resources. Once a policy has been implemented it is necessary to monitor and evaluate the effectiveness of the policy to determine whether it has been successful in achieving the intended outcomes. It is also important to evaluate whether services (outputs) are effectively reaching those people for whom they are intended. Statistics play a crucial role in this process. So statistics, therefore, represent a significant role in good policy-making, monitoring and political accountability. The impact of policy can be measured with statistics. So firstly, we need to ask why the government are not doing this. If policy impacts cannot be measured then it is not good policy. Ensuring accuracy and integrity in the reporting of statistics is a serious responsibility. In cases where there may not be an in-depth understanding of statistics in general, or of a particular topic, the use of glossaries, explanatory notes and classifications ought to be used to assist in their interpretation. Statistics can be presented and used in ways that may lead readers and politicians to draw misleading conclusions. 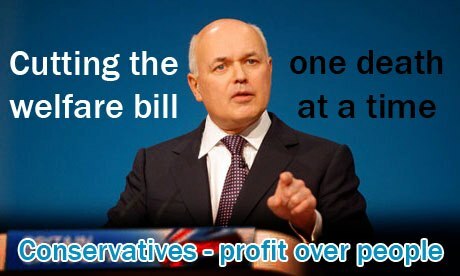 It is possible to take numbers out of context, as Iain Duncan Smith, amongst others, is prone to do. However, official statistics are supposed to be produced impartially and free from political influence, according to a strict code of practice. This is a government that systematically breaches the code of conduct. See: List of official rebukes for Tory lies and statistical misrepresentations, for example. We need to ask why the government refuses to conduct any research into their austerity policies, the impacts they are having and the associated mental distress, physical harm, deaths and suicides. Without such research, it isn’t appropriate or legitimate to deny a causal link between what are, after all, extremely punitive, targeted, class-contingent policies and an increase in adverse consequences, such as premature mortality rates. It isn’t unreasonable to be concerned about policies that are targeted to reduce the income of social groups already struggling because of limited resources, nor is it much of an inferential leap to recognise that such policies will have some adverse consequences. In social research, traditionally, quantitative methods emphasise maintaining objectivity, and aim to keep social inquiries “value-free.” However, the area of study is intentionally selected by researchers, funded by interested parties and there are problems related to the connection between observation and interpretation. Perhaps every observation is an interpretation, since “facts” are seen through a lens of perceptions, pre-conceptions and ideology. The Joseph Rowntree Foundation choose to study poverty. 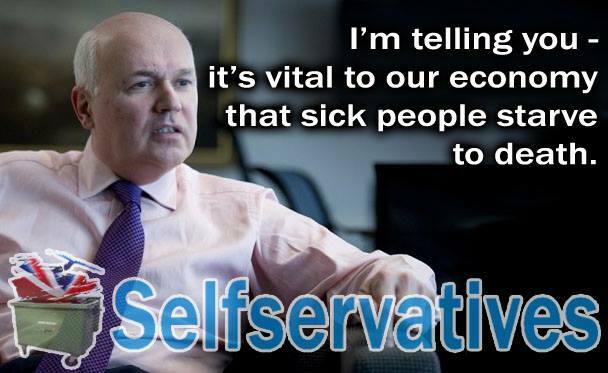 Cynical Iain Duncan Smith simply changes the definition of it. The importance of qualitative research: who are the witnesses? Social phenomena cannot always be studied in the same way as natural phenomena, because human beings are subjective, intentional and have a degree of free will. One problem with quantitative research is that it tends to impose theoretical frameworks on those being studied, and it limits responses from those participating in the study. Social reality is not “out there” waiting to be discovered: we are constructing and reconstructing it meaningfully. However, politically, there’s been a marked shift away from understanding the lived experiences of real people in context. There are also distinctions to be made between facts, values and meanings. Qualitative researchers are concerned with generating explanations and extending understanding rather than simply describing and measuring social phenomena and establishing basic cause and effect relationships. Qualitative research tends to be exploratory, potentially illuminating underlying intentions, responses, beliefs, reasons, opinions, and motivations to human behaviours. This type of analysis often provides insights into social problems, helps to develop ideas and establish explanations, and may also be used to formulate hypotheses for further quantitative research. The dichotomy between quantitative and qualitative methodological approaches, theoretical structuralism (macro-level perspectives) and interpretivism (micro-level perspectives) in sociology, for example, is not nearly so clear as it once was, however, with many social researchers recognising the value of both means of data and evidence collection and employing methodological triangulation, reflecting a commitment to methodological and epistemological pluralism. Qualitative methods tend to be much more inclusive than quantitative analysis, lending participants a dialogic, democratic and first hand voice regarding their own experiences. The current government have tended to dismiss qualitative evidence from first hand witnesses of the negative impacts of their policies – presented cases studies, individual accounts and ethnographies – as “anecdotal.” However, that is a very authoritarian approach to social administration and it needs to be challenged. The most rigid form of quantitative research, associated with positivism, is a traditionally Conservative way of rigidly demarcating the world, imposing hierarchies of priority, worth and order, to assure ontological security and maintain the status quo, regardless of how absurd this shrinking island of certainty appears to the many of us that are being systematically exiled from it. Neither positivism nor Conservatism extend an acknowledgement, recognition or account of human diversity. However, a qualitative approach to research potentially provides insight, depth and richly detailed accounts. The evidence collected is much more coherent and comprehensive, because it explores beneath surface appearances, and reaches above causal relationships, delving much deeper than the simplistic analysis of ranks, categories and counts. It provides a reliable and rather more authentic record of experiences, attitudes, feelings and behaviours, it prompts an openness and is expansive, whereas quantitative methods tend to limit and are somewhat reductive. Qualititative research methods encourage people to expand on their responses and may then open up new issues and topic areas not initially considered by researchers. As such, qualitative methods are prefigurative and bypass problems regarding potential power imbalances between the researcher and the subjects of research, by permitting participation and creating space for genuine dialogue and reasoned discussions to take place. Research regarding political issues and policy impacts must surely engage citizens on a democratic, equal basis and permit participation in decision-making, to ensure an appropriate balance of power between citizens and the state. That assumes, of course, that governments want citizens to engage and participate. There is nothing to prevent a government deliberately exploiting a research framework as a way to test out highly unethical and ideologically-driven policies, and to avoid democratic accountability, transparency and public safeguards. How appropriate is it to apply a biomedical model of prescribed policy “treatments” to people experiencing politically and structurally generated social problems, such as unemployment, inequality and poverty, for example? This is happening and needs to be challenged. Iain Duncan Smith and Priti Patel, amongst other ministers, claim that we cannot make a link between government policies and the increasing number of deaths of sick and disabled people. There are no grounds whatsoever for their claim. There has been no cumulative impact assessment or monitoring of welfare policies, no inquiry, no further research regarding an established correlation and a longstanding refusal from the Tories to undertake any of these. There is therefore no evidence for their claim. Such political denial is oppressive – it serves to sustain and amplify a narrow, hegemonic political narrative, stifling pluralism and excluding marginalised social groups, excluding alternative accounts of citizen’s experiences, negating counternarratives; it sidesteps democratic accountability, stultifies essential public debate, obscures evidence and hides politically inconvenient, exigent truths. Denial of causality does not reduce the probability of it, especially in cases where a correlation has been well-established and evidenced. So, how do we address these issues? Government ministers like to hear facts, figures and statistics all the time. What we need to bring to the equation is a real, live human perspective. We need to let ministers know how the policies they are implementing and considering directly impact ourselves, their constituents and social groups more widely. One of the most powerful things we can do to make sure the government listens to our concerns is to engage and support the organisation of family, friends, neighbours and wider communities. While many people regard state or national-level politics as an intractable mess that’s impossible to influence, collective voices really do make a difference. The best weapon of influence we have is meticulous documentation of our experiences. Nowadays, policies have been unanchored from any democratic dialogue regarding public needs and are more about monologues aimed at shaping those needs to suit the government and rigid policy outcomes. For many of us, policies are being formulated to act upon us as if we are objects, rather than autonomous human subjects. This political dehumanisation has contributed significantly to a wider process of social outgrouping and increasing stigmatisation. But in democracies, Governments are elected to represent and serve the needs of the population. Democracy is not only about elections. It is also about distributive and social justice. The quality of the democratic process, including transparent and accountable Government and equality before the law, is crucial to social organisation, yet it seems the moment we become distracted, less attentive and permit inequality to fundamentally divide our society, the essential details and defining features of democracy seem to melt into air. Sherry Arnstein’s Ladder of Citizen Participation and Power. Whereabouts are you on the ladder? I think socioeconomic status has some bearing on how far up people place themselves and how much power they feel they have to influence decision-making. A starting point may be the collective gathering of evidence and continual documentation of our individual narratives concerning experiences of austerity and the welfare “reforms”, which we must continue to present to relevant ministers, parliament, government departments, the mainstream media and any organisations that may be interested in promoting citizen inclusion, empowerment and democratic participation. We can give our own meaningful account of our own experiences and include our own voice, reflecting our own first hand witnessing, experiencing and knowledge of policy impacts, describing how we make sense of and understand our situations, including the causal links between our own circumstances, hardships, sense of isolation and distress, and Conservative policies and subsequent socioeconomic frameworks, as active, intentional, conscientious citizens. Furthermore, we can collectively demand a democratic account and response (rather than accepting denial and a refusal to engage) from the government. The government need to learn about the link between correlation and causality. Denial of culpability is not good enough. Correlation isn’t quite the same as causality. When researchers talk about correlation, what they are saying is that they have found a relationship between two, or more, variables. “Correlation does not mean causation” is a quip that researchers chuck at us to explain that events or statistics that happen to coincide with each other are not necessarily causally related. Correlation means that an association has been established, however, and the possibility of causation isn’t refuted or somehow invalidated by the establishment of a correlation. Quite the contrary. Indeed an established association implies there may also be a causal link. To prove causation, further research into the association must be pursued. So, care should be taken not to assume that correlation never implies causation, because it quite often does indicate a causal link. Whilst the government deny there is a causal link between their welfare policies, austerity measures and an increase in premature deaths and suicides, they cannot deny there is a clear correlation, which warrants further research – an independent inquiry at the VERY least. But the government are hiding behind this distinction to deny any association at all between policy and policy impacts. That’s just plain wrong. Correlations between two things may be caused by a third factor that affects both of them. This sneaky, hidden third factor is called a confounding variable, or simply a confounder. However, most of the social research you read tends to indicate and discuss a correlation between variables, not a direct cause and effect relationship. Researchers tend to talk about associations, not causation. Causation is difficult but far from impossible to establish, especially in complex sociopolitical environments. It’s worth bearing in mind that establishing correlations is crucial for research and show that something needs to be examined and investigated further. That’s precisely how we found out that smoking causes cancer, for example – through repeated findings showing an association (those good solid, old fashioned science standards of replicability and verification). It is only by eliminating other potential associations – variables – that we can establish causalities. The objective of a lot of research or scientific analysis is to identify the extent to which one variable relates to another variable. If there is a correlation then this guides further research into investigating whether one action causes the other. Statistics measure occurrences in time and can be used to calculate probabilities. Probability is important in studies and research because measurements, observations and findings are often influenced by variation. In addition, probability theory provides the theoretical groundwork for statistical inference. Statistics are fundamental to good government, to the delivery of public services and to decision-making at all levels of society. Statistics provide parliament and the public with a window on the work and performance of a government. Such data allows for the design of policies and programs that aim to bring about a desired outcome, and permits better targeting of resources. Once a policy has been implemented it is necessary to monitor and evaluate the effectiveness of the policy to determine whether it has been successful in achieving the intended outcomes. It is also important to evaluate whether services (outputs) are effectively reaching those people for whom they are intended. Statistics play a crucial role in this process. So statistics, therefore, represent a significant role in good policy making and monitoring. The impact of policy can be measured with statistics. We need to ask why the government refuses to conduct any research into their austerity policies, the impact they are having and the associated deaths and suicides. Without such research, it isn’t appropriate or legitimate to deny a causal link between what are, after all, extremely punitive, targeted, class contingent policies and an increase in premature mortality rates. However, I believe that social phenomena cannot always be studied in the same way as natural phenomena. There are, for example, distinctions to be made between facts and meanings. Qualitative researchers are concerned with generating explanations and extending understanding rather than simply describing and measuring social phenomena and establishing basic cause and effect relationships. Qualitative research tends to be exploratory, potentially illuminating underlying intentions, reasons, opinions, and motivations to human behaviours. It often provides insight into problems, helps to develop ideas, and may also be provide potential for the formulation hypotheses for further quantitative research. The dichotomy between quantitative and qualitative methodological approaches, theoretical structuralism (macro-level perspectives) and interpretivism (micro-level perspectives) in sociology, for example, is not nearly so clear as it once was, however, with many social researchers recognising the value of both means of data collection and employing methodological triangulation, reflecting a commitment to methodological and epistemological pluralism. Qualitative methods tend to be much more inclusive, lending participants a dialogic, democratic voice regarding their experiences. However, such an approach to research potentially provides insight, depth and rich detail because it explores beneath surface appearances, delving deeper than the simplistic analysis of ranks, categories and counts. It provides a reliable record of experiences, attitudes, feelings and behaviours and prompts an openness that quantitative methods tend to limit, as it encourages people to expand on their responses and may then open up new topic areas not initially considered by researchers. As such, qualitative methods bypass problems regarding potential power imbalances between the researcher and the subjects of research, by permitting participation and creating space for genuine dialogue and reasoned discussions to take place. Research regarding political issues and impacts must surely engage citizens on a democratic basis and allow participation in decision-making, to ensure an appropriate balance of power between citizens and government. That assumes of course that governments want citizens to engage and participate. There is nothing to prevent a government deliberately exploiting a research framework as a way to test out highly unethical and ideologically-driven policies, and to avoid democratic accountability, transparency and safeguards. How appropriate is it to apply a biomedical model of prescribed policy “treatments” to people experiencing politically and structurally generated social problems, such as unemployment, inequality and poverty, for example? The correlation between Conservative policies and an increase in suicides and premature deaths is a fairly well-established one. For example, Australian social scientists found the suicide rate in the country increased significantly when a Conservative government was in power. And an analysis of figures in the UK strongly suggests a similar trend. The authors of the studies argue that Conservative admininistration traditionally implies a less supportive, interventionist and more market-orientated policy than a Labour one. This may make people feel more detached from society, they added. It also means support tends to be cut to those who need it the most. “We think that it may be because material conditions in lower socio-economic groups may be relatively better under labour because of government programmes, and there may be a perception of greater hope by these groups under labour. In one of a series of accompanying editorials, Dr Mary Shaw and colleagues from the University of Bristol say the same patterns were evident in England and Wales between 1901 and 2000. Rates have been lower under Labour governments and soared under the last Conservative regime, which began in 1979 under Margaret Thatcher. Interestingly, the authors of more recent research point out that although suicide rates tend to increase when unemployment is high, they were also above average during the 1950s when Britain “never had it so good,” but was ruled by the Conservative party. Overall, they say, the figures suggest that 35,000 people would not have died had the Conservatives not been in power, equivalent to one suicide for every day of the 20th century or two for every day that the Conservatives ruled. The UK Conservative Party typically refused to comment on the research. Not a transparent, accountable and democratic government, then. More recently, public health experts from Durham University have denounced the impact of Margaret Thatcher’s policies on the wellbeing of the British public in research which examines social and health inequality in the 1980s. The research shows that there was a massive increase in income inequality under Baroness Thatcher – the richest 0.01 per cent of society had 28 times the mean national average income in 1978 but 70 times the average in 1990, and UK poverty rates went up from 6.7 per cent in 1975 to 12 per cent in 1985. Thatcher’s governments wilfully engineered an economic catastrophe across large parts of Britain by dismantling traditional industries such as coal and steel in order to undermine the power of working class organisations, say the researchers. They suggest this ultimately fed through into growing regional disparities in health standards and life expectancy, as well as greatly increased inequalities between the richest and poorest in society. Housing and welfare changes are also highlighted in the paper, with policies to sell off council housing such as Right to Buy scheme and to reduce welfare payments resulting in further inequalities and causing “a mushrooming of homelessness due to a chronic shortage of affordable social housing.” Homeless households in England tripled during the 1980s from around 55,000 in 1980 to 165,000 in 1990. And while the NHS was relatively untouched, the authors point to policy changes in healthcare such as outsourcing hospital cleaners, which removed “a friendly, reassuring presence” from hospital wards, led to increases in hospital acquired infections, and laid the ground for further privatisation under the future Coalition government. The figures analysed as part of the research also show high levels of alcohol and drug-related mortality and a rise in deaths from violence and suicide as evidence of health problems caused by rising inequality during the Thatcher era. The study, carried out by the Universities of Liverpool, Durham, West of Scotland, Glasgow and Edinburgh, is published in the International Journal of Health Services. It was scientifically peer-reviewed and the data upon which it was based came from more than 70 other academic papers as well as publicly available data from the Office for National Statistics (ONS). The Government has repeatedly denied any links between social security cuts and deaths, despite the fact that there is mounting and strong evidence to the contrary. Yet it emerged that the Department for Work and Pensions (DWP) has carried out 60 reviews into deaths linked to benefit cuts in the past three years. The information, released by John Pring, a journalist who runs the Disability News Service (DNS), was obtained through Freedom of Information requests. 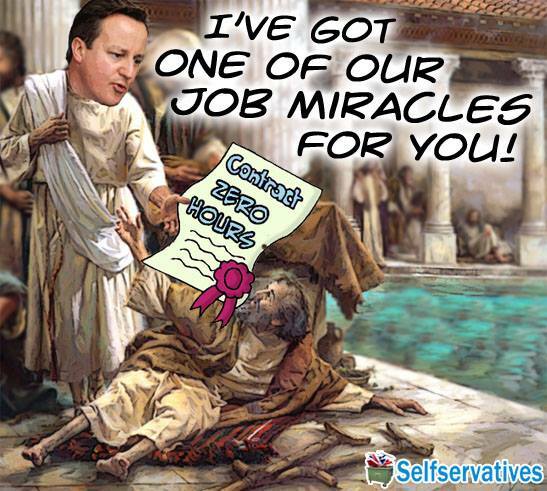 The data showed there have been 60 investigations into the deaths of benefit claimants since February 2012. Secretary of State for Work and Pensions, 5 May 2015. Several disability rights groups and individual campaigners, including myself, have submitted evidence regularly to the United Nations over the past three years, including details of Conservative policies, decision-making narratives and the impact of those policies on sick and disabled people. This collective action has triggered a welcomed international level investigation, which I reported last August: UK becomes the first country to face a UN inquiry into disability rights violations. The United Nations only launch an inquiry where there is evidence of “grave or systemic violations” of the rights of disabled people. Government policies are expressed political intentions regarding how our society is organised and governed. They have calculated social and economic aims and consequences. How policies are justified is increasingly being detached from their aims and consequences, partly because democratic processes and basic human rights are being disassembled or side-stepped, and partly because the government employs the widespread use of propaganda to intentionally divert us from their aims and the consequences of their ideologically (rather than rationally) driven policies. All bullies and despots scapegoat and stigmatise their victims. Furthermore, policies have become increasingly detached from public interests and needs. It’s possible to identify which social groups this government are letting down and harming the most – it’s the ones that are being politically marginalised and socially excluded. It’s those groups that are scapegoated and deliberately stigmatised by the perpetrators of their misery. Iain Duncan Smith and Priti Patel claim that we cannot make a link between government policies and the deaths of some sick and disabled people. There are no grounds whatsoever for that claim. There has been no cumulative impact assessment, no inquiry, no further research regarding an established correlation and a longstanding refusal from the Tories to undertake any of these. There is therefore no evidence for their claim. Political denial is repressive, it sidesteps democratic accountability and stifles essential debate and obscures evidence. Denial of causality does not reduce the probability of it, especially in cases where a correlation has been well-established and evidenced. This is Sherry Arnstein’s Ladder of Citizen Participation and Power. Whereabouts are we? A starting point may be the collective gathering of evidence and continual documentation of our individual experiences of austerity and the welfare “reforms”, which we must continue to present to relevant ministers, parliament, government departments, the mainstream media and any organisations that may be interested in promoting citizen inclusion, empowerment and democratic participation. We can give our own meaningful account of our own experiences and include our own voice, reflecting our own first-hand knowledge of policy impacts, describing how we make sense of and understand our own situations, including the causal links between our own circumstances, hardships, sense of isolation and distress, and Conservative policies, as active, intentional, consciencious citizens. Furthermore, we can collectively demand a democratic account and response (rather than accepting denial) from the government. Tory ministers are facing further pressure to reveal information about how many people have died after being assessed as “fit for work.” Labour MP for central Newcastle-upon-Tyne, Chi Onwurah, has joined over 120,000 people that have signed a petition to demand that the Government release the figures. Many campaigners have been calling on the Department for Work and Pensions (DWP) to publish the figures since November 2012. Mrs Onwurah, who led a Commons debate on welfare earlier this year, said: “One of the most powerful and distressing examples in my debate was of a man who had committed suicide. “If someone dies after being found fit to work it doesn’t necessarily mean that being found fit to work had an impact in their death, so I can understand that the Government might fear the figures would be misinterpreted. “But if the Government has figures then they should share those, and allow people to interpret them fairly. “This isn’t just a matter of dry statistics. It is about about the health-affecting impact that having been found fit to work can have on claimants. “And I know that because I see them in my surgery on a regular basis. Despite supporting psychological assessments, other evidence, and an attempted suicide, the decision was not reversed and in January 2014 he was found hanged by his neighbour. Mrs Onwurah said: “My constituent was found hanged in his home by a neighbour. He was well known to Newcastle Welfare Rights, from which he had received considerable support in his dealings with the Department for Work and Pensions. The Department for Work and Pensions (DWP) insists it is irresponsible to suggest deaths which follow an assessment that claimants are fit to work were caused by the assessment. The DWP originally published statistics in July 2012 after several of us submitted Freedom of Information requests (FOIs). The released statistics indicated that 10,600 people had died between January and November 2011 who had been claiming Employment Support Allowance (ESA), and where the date of death was within six weeks of the claim ending. The DWP publication caused huge controversy, although many people disagreed over what the figures actually showed. Ministers subsequently blocked publication of any updated figures. At the time, I made a statistical cross comparison of deaths, and the information released showed that people having their claim for Employment Support Allowance (ESA) stopped, between October 2010 and November 2011, with a recorded date of death within six weeks of that claim ceasing, who were until recently claiming Incapacity Benefit (IB) – and who were migrated onto ESA – totalled 310. Between January and November 2011, those having their ESA claim ended, with a recorded date of death within six weeks of that claim ending totalled 10,600. The DWP did not provide information regarding whether or not people had died before or after their benefit claim was ended, which complicated matters. However, there is a very substantial and significant statistical variation over a comparatively similar time scale (although the 10,600 deaths actually happened over a shorter time scale – by 3 months) that appears to be correlated with the type of benefit and, therefore, the differing eligibility criteria – the assessment process – as both population samples of claimants on ESA and IB contain little variation regarding the distribution in the cohorts in terms of severity of illness or disability. Bearing in mind that those who were successfully migrated to ESA from IB were assessed and deemed unfit for work, (under a different assessment process, originally) one would expect that the death rates would be similar to those who have only ever claimed ESA. This is very clearly not the case. And we know that the ESA assessment process has actually excluded many seriously ill people from entitlement because of the media coverage of individual tragic cases, when a person deemed fit for work by Atos has died soon after the withdrawal of their lifeline benefit, and of course, such accounts of constituents’ experiences and case studies, as evidence, informs Parliamentary debate, as well as the ongoing Work and Pension Committee inquiry into ESA, details of which may be found on the Hansard parliamentary record. An official watchdog has also ordered the Government to release further information about how many people have died after going through the work capability assessment (WCA) which had resulted in a decision that they were fit for work, since the last publication in 2012. The ruling was made after an appeal by Mike Sivier, a fellow campaigner, freelance journalist and a carer that runs the Vox Political blog who has himself been pushing for the figures to be published since the summer of 2013. Being assessed as fit for work would mean that someone is expected to start looking for a job, take part in training designed to “prepare them for employment”, including workfare programmes – and would face the prospect of sanctions as part of the strict welfare conditionality regime – losing their lifeline benefits – unless they comply. Mike also used the Freedom of Information Act to ask how many people who died between November 2011 and May 2014 had been found “fit for work”, or told they should move towards finding work. But the Department for Work and Pensions refused his request, saying it was already preparing to publish the information. Mr Sivier appealed to Information Commissioner, Christopher Graham, who ordered the DWP to publish the data within 35 days of his ruling on April 30, 2015. But the Department of Work and Pensions has instead decided to appeal this ruling. Campaigners now want to know what the government is trying to hide and the online petition demanding that Work and Pensions Secretary Iain Duncan Smith stop attempting to block publication of the statistics has been signed by more than 120,000 people on the website: www.change.org. Many sick and disabled people have said that the constant strain, anxiety and stress of what they have described as a “revolving door process” of assessment, review, appeal and re-assessment, has contributed significantly to a decline in their health. The previous figures from the DWP, and the marked contrast between the ESA and IB death statistics certainly substantiate these claims that the assessment process places a great deal of stress on people who are often seriously ill. Anyone with a chronic illness will tell you that stress invariably exacerbates their condition. At a meeting in June 2012, British Medical Association doctors voted that the Work Capability Assessment (WCA) should be ended “with immediate effect and be replaced with a rigorous and safe system that does not cause unavoidable harm to some of the weakest and vulnerable in society”. The vote has not been acknowledged by Atos or by the Government, although it was reported widely in the media at the time. On 22 May 2013, a landmark decision by the courts in a judicial review brought by two individuals with mental health problems ruled that the WCA is not fit for purpose, and that Atos assessments substantially disadvantage people with mental health conditions. Despite the ruling’s authoritative importance, the decision had a similar lack of real-world effect as it did not halt or slow down the WCA process: Atos and the DWP have ignored the judgement and its implications. In mid-January 2012, there was a significant scandal as media were alerted to the fact that the WCA had found a man in a coma to be “fit for work”. Work Capability Assessments have found patients with brain damage, terminal cancer, severe multiple sclerosis, and Parkinson’s Disease to be fit for work. On 24 April 2013, a woman who was a double heart and lung transplant patient died in her hospital bed only days after she was told after a WCA that her allowance was being stopped and that she was fit for work. In August 2011, twelve doctors working for Atos as disability assessors were placed under investigation by the General Medical Council because of allegations of misconduct in relation to their duty of care to patients. One doctor was forced to resign from Atos after being told to change a report about an individual, pointing out “the General Medical Council makes it clear that doctors must not change a report and risk being disciplined for unprofessional conduct if they do”. There are many more well-documented problems with the Work Capability Assessment. It’s mired in controversy. Yet since 2010 the current government has continued to expand its role to reassess millions of people that the DWP had already judged to be entitled to Incapacity Benefit. The government also made changes to the framework of the test to make ESA more difficult to claim. Despite the controversy, the government continues to show a somewhat baffling and extremely troubling disinterest in the serious problems related to the increased means-testing and conditionality of sickness and disability benefits that they have introduced. Another major area of concern is that there is a clear absence of impact monitoring, regarding the changes they have made to policy. I find it curious that whilst the DWP couldn’t state either way which side of a claim ending that the deaths happened, journalists and the government shrug the figures off, rather than actually INVESTIGATING the matter. I have lost 3 friends during the past three years, who each died tragically just after being told they were fit for work, their lifeline benefit support was ended. Families who have suffered bereavement related to ESA claims consistently report that it is the stress of the assessment, the strain of being told they are fit to work when they are not, and the fact that chronically sick people then have to fight for their lifeline benefits that causes a further decline in their health, and the exceptional stress, caused by government welfare policy that is very punitive in nature, that is leading to some people dying. It’s inconceivable that the government have failed to understand that placing very ill people in a position where their lifeline benefit is stopped so they have to fight for the means to meet their most basic needs – those of food, fuel and shelter – will potentially be very harmful, having a detrimental impact on their health, which may be fatal. Thanks to Robert Livingstone for his excellent pictures.